Perfect!! 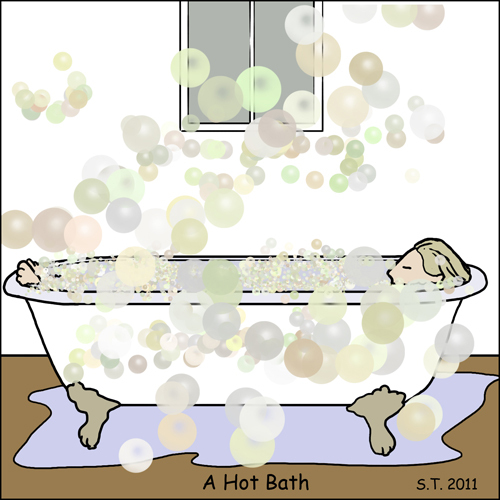 I've been taking some hot baths myself lately. 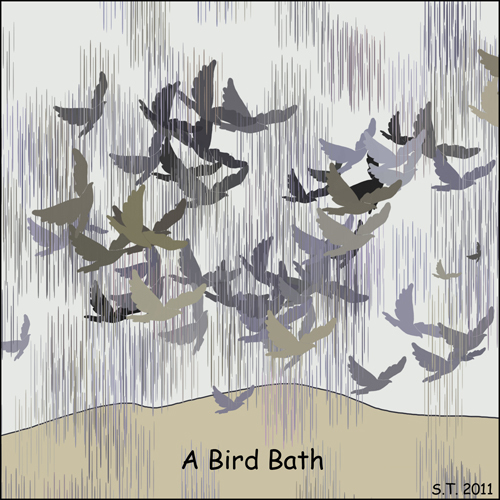 The birds??? Well, snow, not rain. 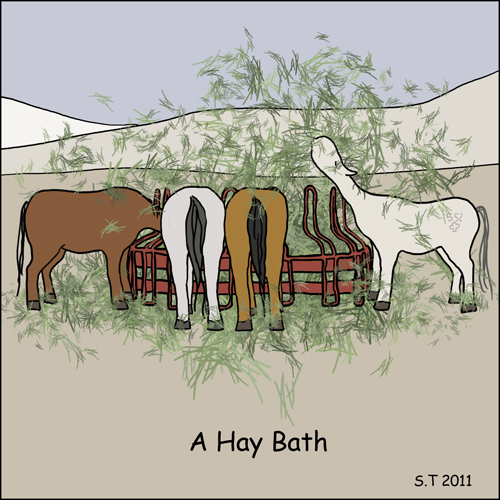 The horses...nothing like a nice full rack of hay to make their day. Cute. As always. I love your perspective and sense of humor so happily found in the ordinary events of life.